November, 2018 | Roland Dumont Agency, Inc. According to the National Safety Council, more than 400 Americans die from unintentional carbon monoxide poisoning each year. Carbon monoxide is called the silent killer because it’s odorless, colorless, tasteless, and can easily go undetected. When the cold temperatures start to hit, what’s the first thing we do? We turn on our furnaces to heat our home and tightly seal our windows. If your furnace is emitting poisonous gases, you are trapping them in your house. Here are a few things you do to help prevent this silent and deadly killer. First, it’s important to have your furnace inspected and serviced annually. 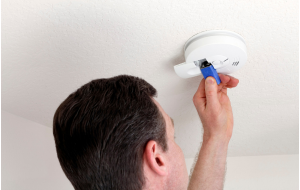 The Centers for Disease Control and Prevention (CDC) suggests we install battery-operated carbon monoxide detectors near every area in the home used for sleeping and be checked regularly to be sure they are working correctly .